Scientology -The Apollo series: What has Tom Cruise done to his face? What has Tom Cruise done to his face? 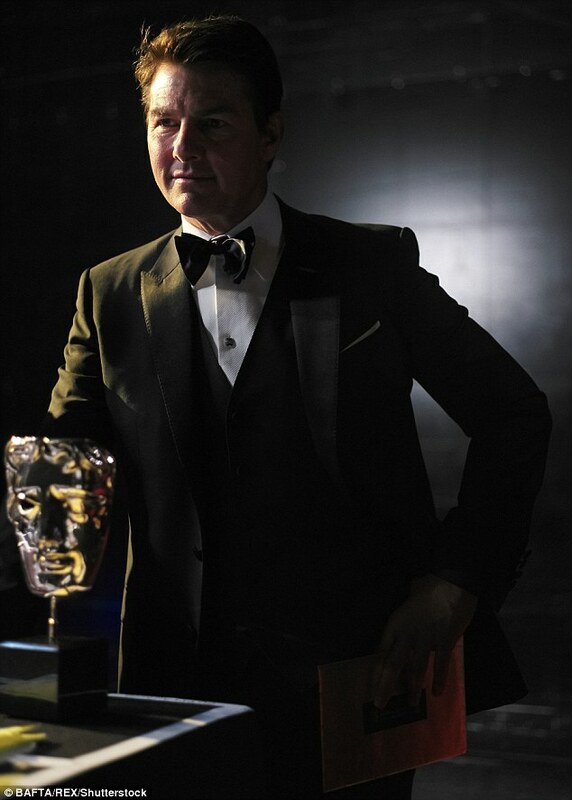 A couple of nights ago, we had the Bafta's in Britain, this is a celebration of the British Film Industry, but who have we got awarding Leo DiCaprio, none other than the hollywood super star Tom Cruise. Yes, Tom chubby cheeks Cruise, super star, Homo novis, body thetan extraodinaire.I wonder where all the British top actors are that could have given Leo his award? Strange that Tom should give out awards for The Revenant, meaning someone who reurns from the dead, the notion was not lost on me.Tom Cruise is a scientologist and they fervantly believe they come back lifetime, after lifetime.Only one problem with that theory, where is L. Ron Hubbard, the founder of Scientology, he died in 1986 and as far as I know we are all still awaiting his return. But, good old Tom chubby cheeks Cruise managed to get the twitterers twittering anyway, never mind body thetans, what about botox? Try and audit that out! Everyone seems to think he's had plastic surgery...well, of course he has, but not recently. He's packed on a few pounds. That's it. His face got fat. He had a facelift before he married Katie Holmes. He looks different because he's chubby now. Maybe it's for a new role. I can't believe a control freak like he didn't gain weight on purpose. The Ramblings of an Ex Commodore's Messenger.